Versatile center who was selected 21st overall in the 2010 NHL Draft by the Detroit Red Wings. He became one of the team's top centers by 2014. 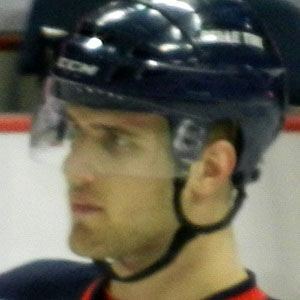 He played three years of college hockey for the Notre Dame Fighting Irish from 2009 to 2012. He scored his first career goal against the Los Angeles Kings' Jonathan Quick on January 11, 2014. His cousin Brock Sheahan also played college hockey at Notre Dame. He became teammates with star center Pavel Datsyuk on the Red Wings.